Today I've done something a little different and have featured another blogger / stylist on OMAMenswear. His name is Darry and he is from Southern California. As you can see, his style is just as amazing as any other blogger that you might find around the internet. His pairing of print and pattern is impeccable, while still upholding a crisp, dapper look. My favorite piece of Darry's outfit is actually his pair of loafers. 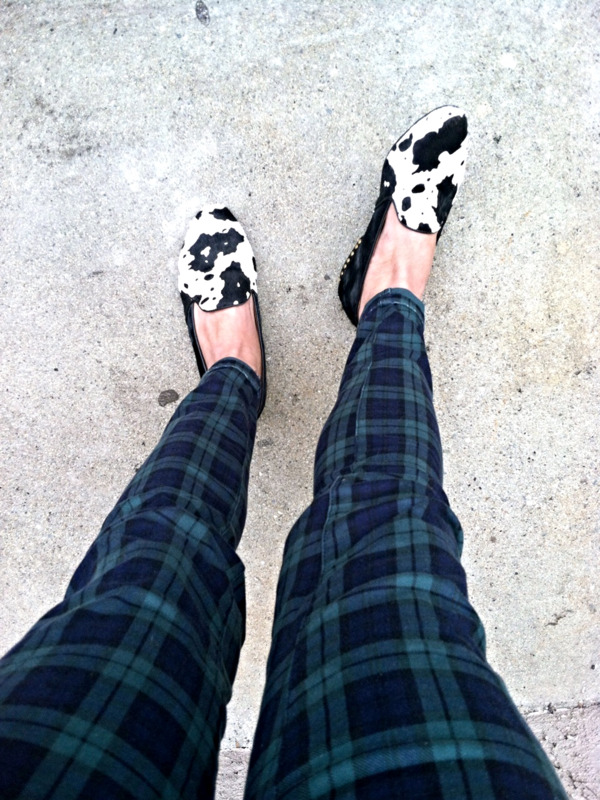 He shared with me that the loafers are a Jeffrey Campbell x Mookee by Yuske collaboration. Leave it to Jeffrey to dish out this amazing pair of shoes. 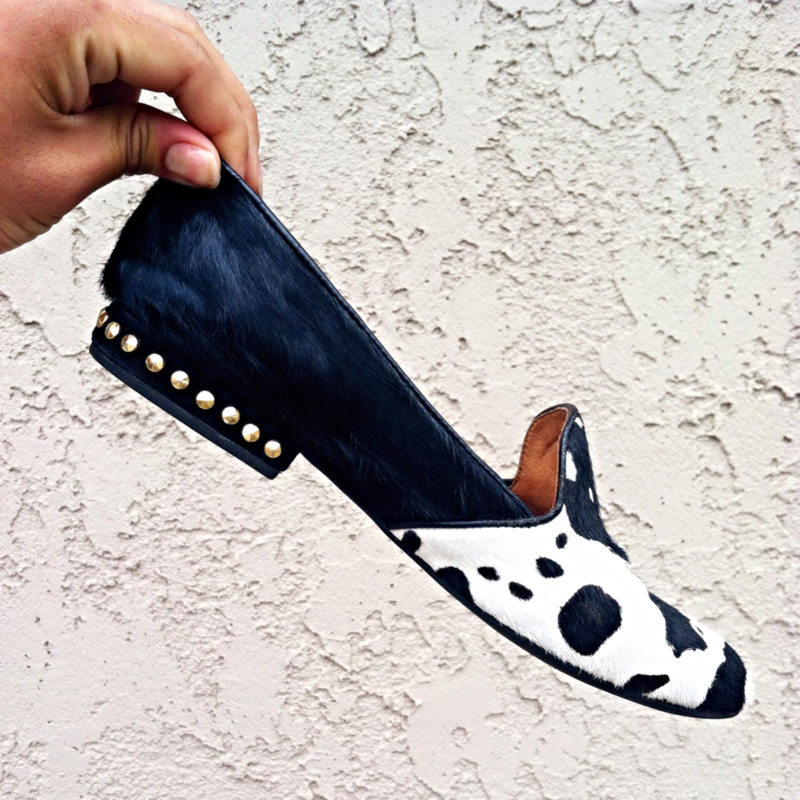 The cow print design is great because it adds not only variety, but texture as it is carefully done with pony hair. The studs on the back of the shoe are also a great touch, adding a bit of edge to the shoes. The tartan pants also do a great job of keeping the look interesting. Their slim fit adds to the overall tailored look that Darry sports on a daily basis. He's kept it fairly subtle with his choices in tops, sporting a white & black combination to tie in the print detail in his loafers. Very on point with the Spring '14 trend happening now (HERE). But what makes Darry different? Well, he's a bargain hunter. Almost everything that Darry is wearing in his photos are from thrift shops, consignment stores, and affordable shops like Forever 21. Go figure, such an amazing look pieced together for an even better price! His style choices are just one example of how you can really stay stylish on a budget. 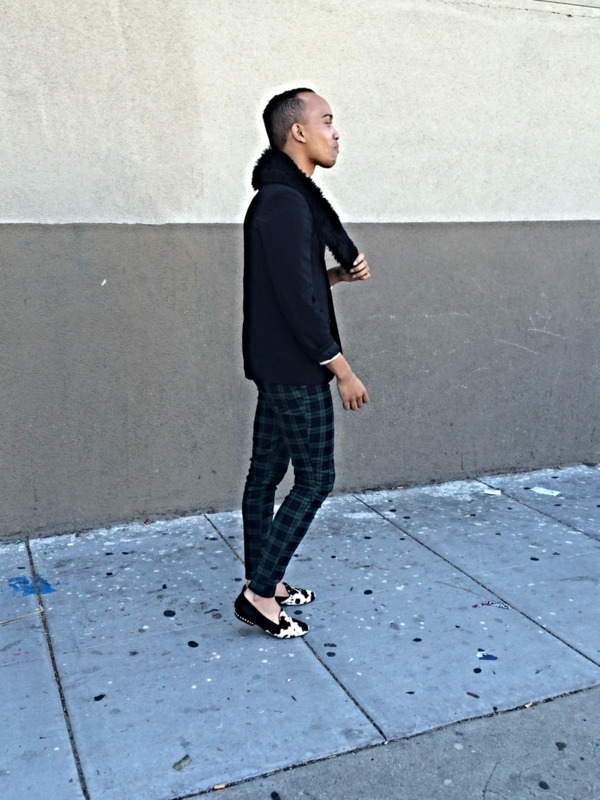 **Want to be featured on Of Mice & Menswear? Send me a message using my contact page to submit your style!